French author and diplomat, one of his country’s first Romantic writers. He was the preeminent literary figure in France in the early 19th century and had a profound influence on the youth of his day. The youngest child of an eccentric and impecunious noble, Chateaubriand spent his school holidays largely with his sister at the family estate at Combourg, with its half-derelict medieval castle set in ancient oak woods and wild heaths. After leaving school, he eventually became a cavalry officer. At the beginning of the French Revolution, he refused to join the Royalists and sailed in April 1791 for the United States, a stay memorable chiefly for his travels with fur traders and for his firsthand acquaintance with Indians in the region around Niagara Falls. After learning of Louis XVI’s flight in June 1791, Chateaubriand felt that he owed obligations to the monarchy and returned to France. Penniless, he married an heiress of 17 and took her to Paris, which he found too expensive; he then left her and joined the Royalist Army. Wounded at the siege of Thionville, he was discharged. He went to England in May 1793. 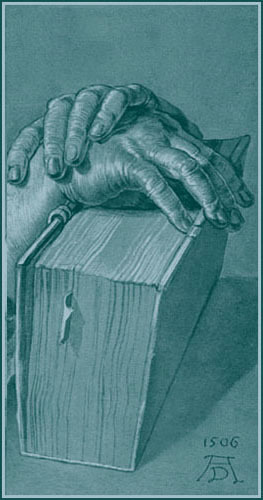 Often destitute, he supported himself by translating and teaching. In London he began his Essai sur les révolutions (1797; “Essay on Revolutions”), an emotional survey of world history in which he drew parallels between ancient and modern revolutions in the context of France’s own recent upheavals. 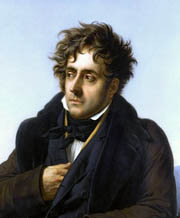 In 1800 Chateaubriand returned to Paris, where he worked as a freelance journalist and continued to write his books. A fragment of an unfinished epic appeared as Atala (1801); immediately successful, it combined the simplicity of a classical idyll with the more troubled beauties of Romanticism. Set in primitive American surroundings, the novel tells the story of a Christian girl who has taken a vow to remain a virgin but who falls in love with a Natchez Indian. Torn between love and religion, she poisons herself to keep from breaking her vow. The lush Louisiana setting and passionate tale are captured in a rich, harmonious prose style that yields many beautiful descriptive passages. Shortly after the death of his mother in 1798, Chateaubriand reconciled his conflict between religion and rationalism and returned to traditional Christianity. His apologetic treatise extolling Christianity, Le Génie du christianisme (1802; “The Genius of Christianity”), won favour both with the Royalists and with Napoleon Bonaparte, who was just then concluding a concordat with the papacy and restoring Roman Catholicism as the state religion in France. In this work, Chateaubriand tried to rehabilitate Christianity from the attacks made on it during the Enlightenment by stressing its capacity to nurture and stimulate European culture, architecture, art, and literature over the centuries. Chateaubriand’s theology was weak and his apologetics illogical, but his assertion of Christianity’s moral superiority on the basis of its poetic and artistic appeal proved an inexhaustible sourcebook for Romantic writers. The renewed appreciation of Gothic architecture sparked by the book is the most prominent example of this. Napoleon rewarded Chateaubriand for his treatise by appointing him first secretary to the embassy at Rome in 1803. But in 1804, when Napoleon stunned France with the unfair trial and hasty execution of the Duke d’Enghien on a flimsy pretext of conspiracy, Chateaubriand resigned his post in protest. The most important of the books he published during the following years is the novel René (first published separately in 1805), which tells the story of a sister who enters a convent rather than surrender to her passion for her brother. In this thinly veiled autobiographical work Chateaubriand began the Romantic vogue for world-weary, melancholy heroes suffering from vague, unsatisfied yearnings in what came to be known as the mal du siècle (“the malady of the age”). On the basis of Les Martyrs (1809), a prose epic about early Christian martyrs in Rome, and Itinéraire de Paris à Jérusalem (1811), an account of his recent travels throughout the Mediterranean, Chateaubriand was elected to the French Academy in 1811. With the restoration of the Bourbon monarchy in 1814, Chateaubriand’s hopes of a political career revived. In 1815 he was made a viscount and a member of the House of Peers. His extravagant lifestyle eventually caused him financial difficulties, however, and he found his only pleasure in his liaison with Mme Récamier, who illumined the rest of his life. He began Mémoires d’outre-tombe (1849–50), his memoir from “beyond the tomb,” written for posthumous publication and perhaps his most lasting monument. This memoir, which Chateaubriand began writing as early as 1810, is as much a history of his thoughts and sensations as it is a conventional narrative of his life from childhood into old age. The vivid picture it draws of contemporary French history, of the spirit of the Romantic epoch, and of Chateaubriand’s own travels is complemented by many self-revealing passages in which the author recounts his unstinting appreciation of women, his sensitivity to nature, and his lifelong tendency toward melancholy. Chateaubriand’s memoirs have proved to be his most enduring work. After six months as ambassador to Berlin in 1821, Chateaubriand became ambassador to London in 1822. He represented France at the Congress of Verona in 1822 and served as minister of foreign affairs under the ultra-Royalist premier Joseph, Count de Villèle, until 1824. In this capacity he brought France into the war with Spain in 1823 to restore that country’s Bourbon king Ferdinand VII. The campaign was a success, but its high cost diminished the prestige Chateaubriand won by it. He passed the rest of his life privately, except for a year as ambassador to Rome (1828–29).